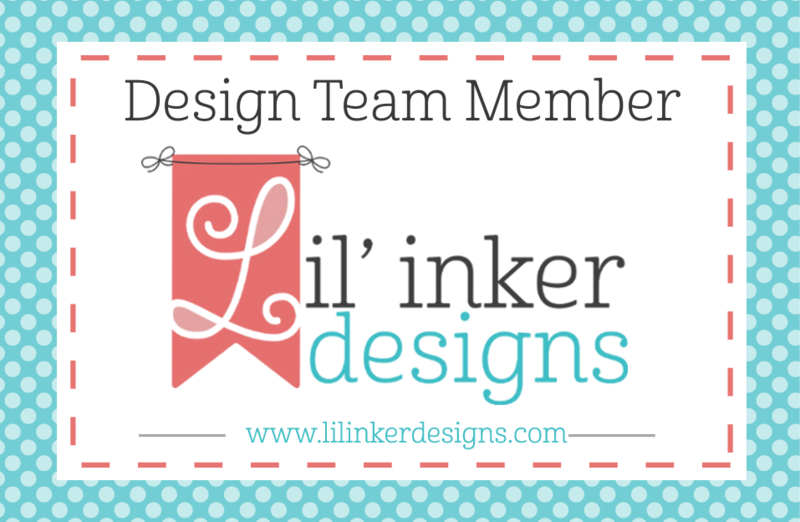 Lil' Inker Designs has teamed up with CardMaker Magazine for a fun hop featuring Lil' Inker Designs products. 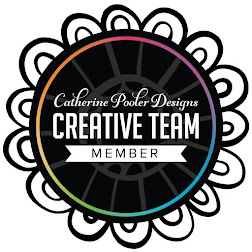 You should have arrived from Melissa Bickford's Blog if you are following the hop. (Full hop list available at the CardMaker Blog and the Lil' Inker Designs Blog.) I am seriously enamored with the April Release so I had to create another card featuring some of those products, and well, April Showers bring May Flowers! I started by stamping, die cutting and detailing one of the cute owl images from Hootie Patootie (the coordinating dies are here). Then I die cut some vellum clouds from the Rainbow and Clouds Die Set. These were adhered over a grey panel that had some rain drops added from the cool and innovative Cut it Out Clouds and Accessories Die Set. I finished with a sentiment from Hootie Patootie. 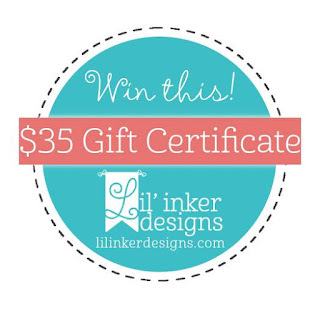 Lil' Inker Designs has offered up a prize for this hop! Wow! A chance to win a $35 gift certificate, I'm telling you, the newest release was all sorts of fantastic, but of course all their products are! Your next stop on the hop is the very talented and fun Rebecca Keppel! So cute---love those little vellum clouds! Thanks for being a part of the hop! 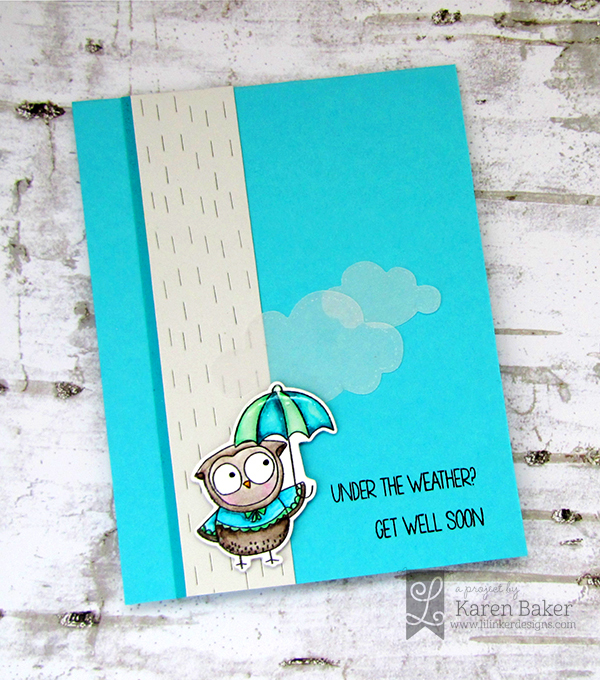 The owl is adorably colored and the vellum clouds are a perfect detail (along with the raindrop panel). Perfectly designed card! Karen, this is true perfection!!! I love love love what you did here especially with the rain panel you created. Love this! Awwwwwwww! This is adorably SWEET. Oh dear heavens Karen this is ONE. CUTE. CARD! Love it! Very well done! Very cute card! Love the owl and the vellum cloud. The owl with the umbrella is too cute!!!! That owl is so adorable!!! And I LOVE those raindrops! How fun!!! This little guy is so cute. It's a great card. Thanks for sharing. If someone sent me this sweet card I'd be feeling better in a jiffy! So cute!! I love these colors! I'm excited to see more designs with this set. It was my favorite from the latest release. Karen, this is too adorable for words! I love the rain drops! Such a cute creation! Love the strip of rain. This is adorable Karen! I like the vellum clouds and clever raindrops! Darling card!! Love the strip of paper rain behind the little cutie!! Just too cute. I love it! Thanks for sharing. So cute. Love the owl. So cute with the owl. I like the vellum clouds. What a sweet little owl. Such a sweet card! Love that adorable little owl and that vellum cloud! One word- adorable! Sure to put a smile on the face of someone feeling out of sorts! Sweet card! Love that adorable owl! This adorable card would certainly make someone feel better! Adorable card. Never thought of making the clouds out of vellum, great idea. That owl is adorable and I love the raindrops and vellum clouds!! What a sweet owl and the vellem clouds are great. Love the detail the die cuts on the tree and vellum clouds are just awesome! Adorable get well soon card! I love, love, love owls! Thanks for the inspiration and for the opportunity to win! Cute little owl. Love the sentiment! Really cute card. 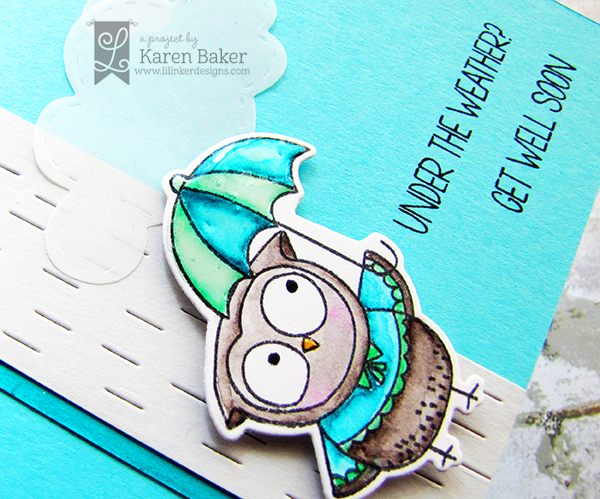 Love the sweet little owl and the vellum clouds are a great addition. LOVE this!!! The panel on the left looks like rain :o) So cute. I love these OWLS so much! Cute cute cute! I love the layout and the vellum clouds! So sweet! Loads of fun new stamps in this release. The brief stamp is very funny!